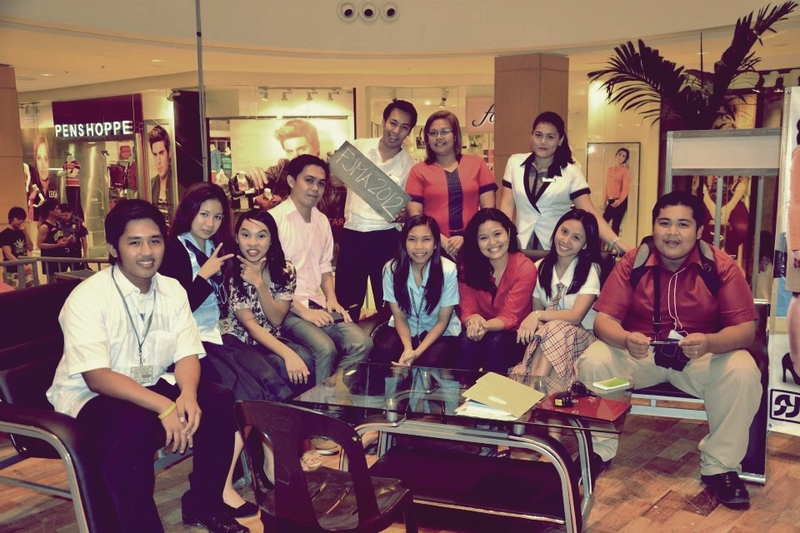 Last September 17 – 20, 2012 at the Abreeza Mall, Davao City, the Federation of Junior Marketing Association in coordination with 19 Participating Schools and the Philippine Marketing Association – Davao chapter hosted the 3rd Marketing Wars, the annual inter-school marketing competition on 8 events to battle in to determine who will be this war’s Champion. The 8 events are: Quiz Bowl, Video Advertisement, Print Advertisement, New Product Development, Essay Writing, Extemporaneous Speaking, Marketing Plan and Ambassador and Ambassadress. Yours truly, is the External Vice-President of FJMA representing Ateneo de Davao University. Regardless of the position, it was my sincere desire to have fun while organizing such event and to render my service and time to make this event possible. 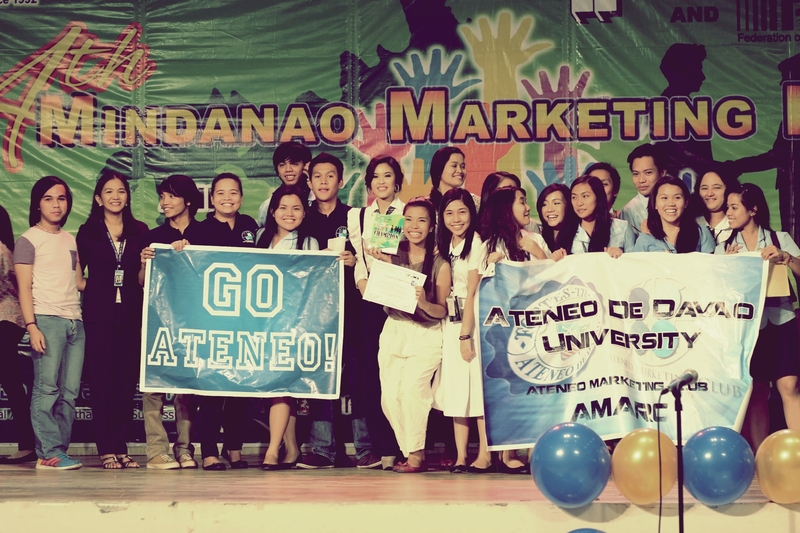 By God’s grace and despite of the inside controversies, the Ateneo de Davao University with the initiative of the Ateneo Marketing Club was awarded as the Over-All Champion of the said event. 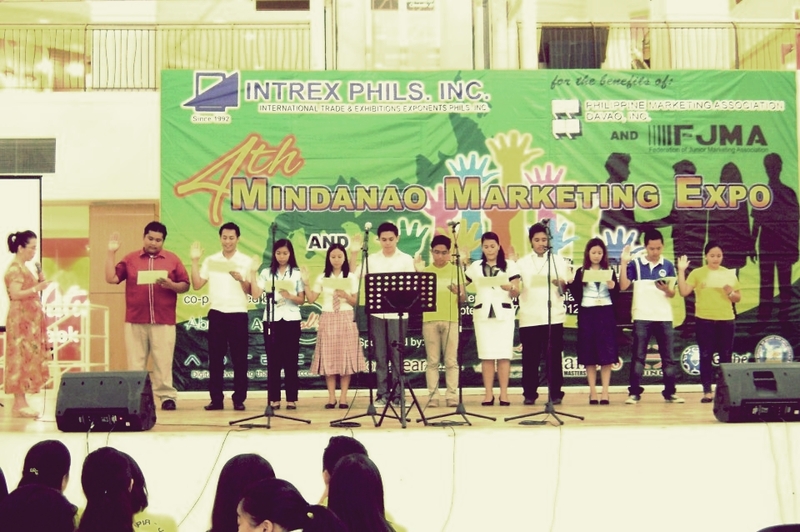 During also the same event, the FJMA Officers were inducted by Mrs. Dolores Marques PMA-Davao President. But what makes this event more meaningful to me is finding new friends whom I know will be there to spend some fun moments and life realizations. To sum up everything about the 3rd Marketing Wars, it was one of the most memorable things that happened to me in my College life. I maybe so much stressed during this event but everything was paid off. The winning in my part is just an additional reward of what the real reward what received – realizing true humility, exercising your principles and most especially enjoying while sharing smiles and laughter to everyone. Even more, I want to express my sincerest Congratulations to the FJMA Officers for a successful event. all the efforts are paid off by our stronger bond with each other. Congratulations and Heartfelt Gratitude to Ateneo de Davao University’s Participants, AMARC Officers and Teachers who were there all throughout the event. Everything for the greater glory of God! Ad Majorem Dei Gloriam! Last note: To all individuals who can’t stop arguing and making bad side comments about the event, I’ll leave to you the burden to search for the definition of sportsmanship and camaraderie. #Kudos to FJMA! #Kudos to AMARC!